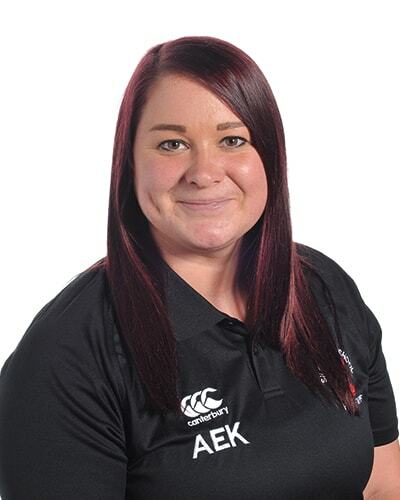 Amy Knowles joined Silcoates School in September 2010, after completing her degree in secondary physical education at Lancaster University. Amy Knowles joined Silcoates School in September 2010, after completing her degree in secondary physical education at Lancaster University. After living in Lancashire for the majority of her life, she decided to return to her roots in Yorkshire, where her great-grandfather, Herbert Sutcliffe, grew up and made a successful career as an English professional cricketer, representing Yorkshire and England as an opening batsman. Throughout her three-year course at university, she taught PE in the UK, the US and Germany. She now teaches a wide variety of sports at Silcoates, whilst leading netball and hockey squads from U9 to 1st VII age groups. As well as her passion for PE, she enjoys many other subjects and has taught both Art and ICT at KS3 level. She was selected for the U19 England Netball Development Squad at the age of 16 and she has continued her love of netball into her adult years. She now is heavily involved with the organisation of netball within Yorkshire, has coached at county and club level and sits on the county panel as the West Yorkshire Schools representative. In addition to teaching, Amy is Head of Spencer’s house and also leads the highest level sports leaders programme for the Year 12 students. Amy also leads all of the girls’ sports tours to destinations such as Barbados, Gibraltar, New York, Toronto, Malaga and Dubai which prove to be memorable tours which the students cherish into later life. What makes Silcoates Senior School special? Although, in many ways, the Senior School at Silcoates is a seamless transition for those from the Junior School, we are fortunate to be joined by a large number of pupils from others schools. We give them a warm welcome and, before long, they feel fully part of the Silcoates family. The education we offer in the Senior School provides a full range of new opportunities, be they academic, sporting, musical or dramatic, which pupils can enjoy and excel at. The relatively small size of our year groups, and our class sizes, ensure that no pupil is overlooked. We are keen to help them develop at their own pace, aware of everyone’s different qualities and aptitudes. What is special though is that, at Silcoates, it is almost impossible not to become involved. Most who wish to be in a sports team will be; most who want to be in a drama production will be; most who wish to study a certain subject combination will be able to. It is that focus on the individual which is most prized by pupils and parents alike. A pupil’s time in the Senior School is when they experience their peak physical and emotional development. We are conscious of this and ensure that the children are educated about their own development and understand that there is help available if needed. More than anything, we strive to make the Senior School a happy place, where pupils achieve and develop but, more than anything, feel valued and supported.